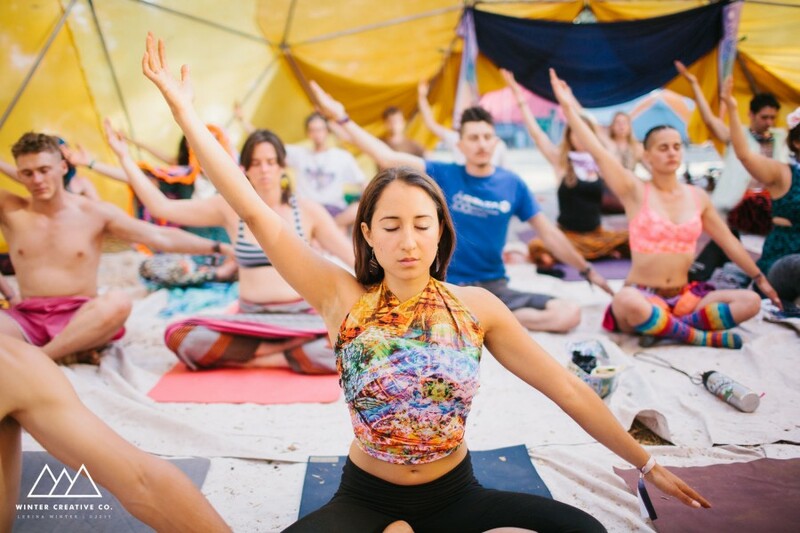 In an exciting new series promoting onsite personal growth, Lucidity Festival is offering an exclusive 3-day early arrival experience engineered specifically as an incubation space for living solutions as part of their fifth year theme, Crossroads. 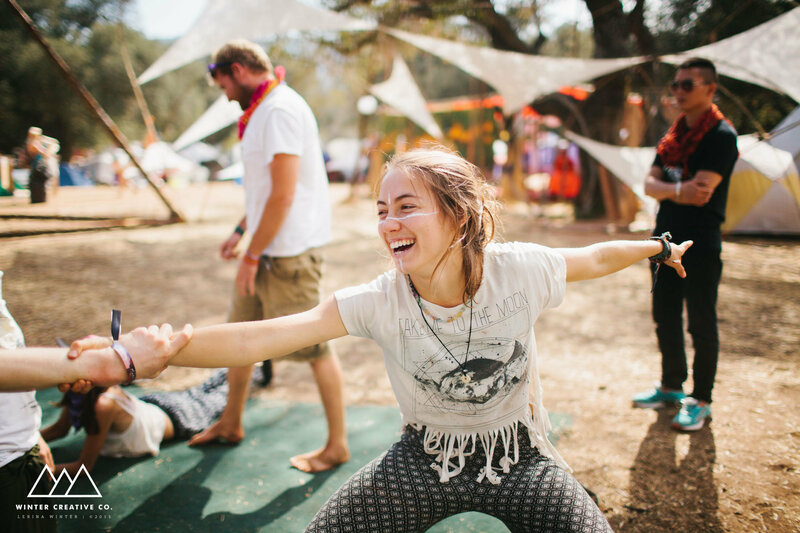 As a Lucid University participant, students get to choose from one of five intensive learning programs focused on creative art, embodied movement, permaculture, reiki healing, or lucid dreaming. The courses are taught by charismatic experts who are considered the crème de la crème in their field and class projects are designed to equip those who are ready with confidence and capability, so that they can make a positive impact as the next generation of leaders. For this reason, we’ve formed a partnership with Lucidity and Lucid University to collaborate on taking transformational learning to the next level. Learn about the healing power of Reiki with Astarius Miraculli. In addition to tapping the spiritual connection with the divine, this course will also show how harnessing it can allow you to take the reigns of other areas of your life. Under the guidance of Thomas Piesel and Laurel Lyons participants in the CommunityWorks program will learn how to be the master of their dreams. By learning to have lucid dreams those who master this skill will discover a cognitive key to unlock their own imagination and all the creativity within. 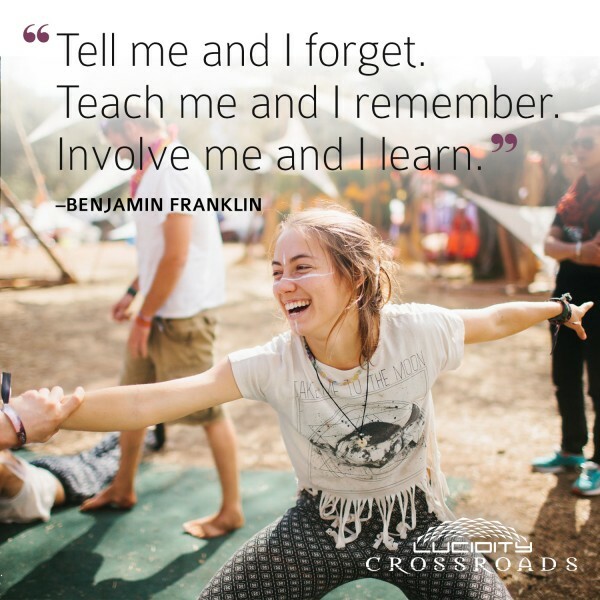 To better understand how our daily actions impact our ecosystem Loren Lyndyke takes those who sign up for EarthWorks on a permaculture adventure that digs deep into the art and science behind permanent living. Emphasizing techniques that regenerate the earth, this is one for those that really want to learn new ideas and get their hands dirty. With tools and techniques served up by a masterful animator and painter, the CreativeWorks intensive invites you to a shared experience with powerful speakers, helpful tips and a spiritually arousing curriculum that is sure breakdown any lingering creative impediment when faced with the venerable symphony of collective imagination that will be orchestrated by the marvelous, Dave Zaboski. To simultaneously reconnect you with the ancient as we look ahead to the future the Bodyworks intensive promises movement and dancing that will electrify your essence and awaken your senses. With impassioned lessons taught by Samantha Sweetwater, the Founder of Dancing Freedom, this course is an important step for those seeking to deepen their understanding about the interconnectedness of everything. Each year has had an important theme and in the four years prior Lucidity has fed those participating with knowledge and connection as they seek to better understand themselves and the world around them. With a matured awareness and the will of kindred spirits these events have sparked a transformational wildfire that has changed lives across the west coast and beyond. For many, the change has left has renewed their consciousness so that they think more about their actions, right down to the very routine. In fact, a lot of people enjoy the workshops at Lucidity so much that they have requested more of them before or after the event. But at Lucidity festival it’s exciting to see they’re willing to dig even deeper to provide some of the best nourishment possible for inquisitive minds. To get involved or for more information check out the Lucidity Festival website at LucidityFestival.com.